As humans, these are things we all need to thrive. Yet isolation is a significant problem facing seniors around the world. 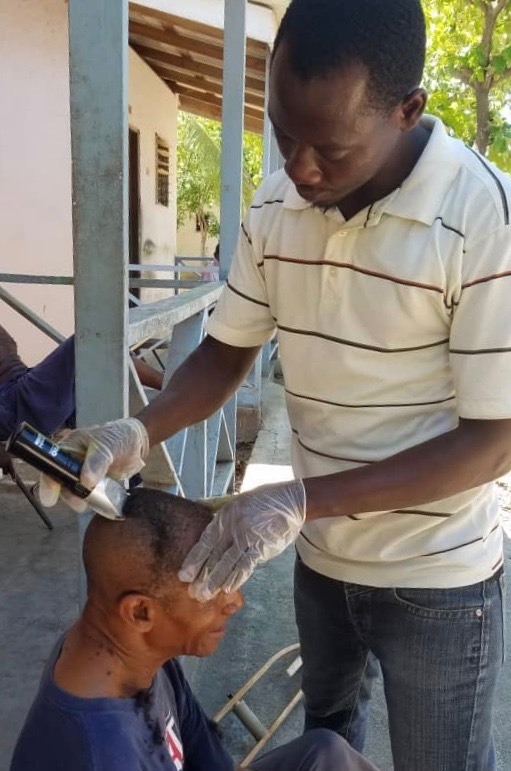 In Haiti, there are very few organizations serving the elderly and individuals living with dementia and Alzheimer’s disease. 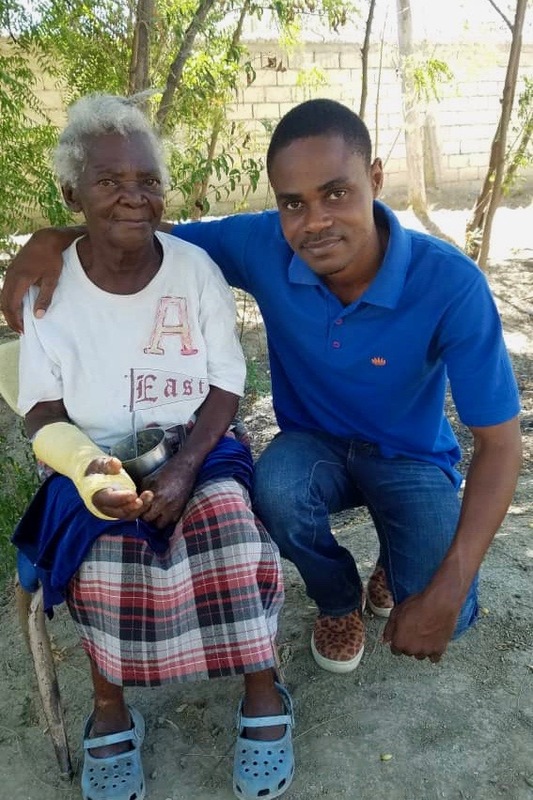 As Haitians age, if their families are not able to take care of them, there are very few places to turn for support. The Heartline Discipleship and Outreach team is grateful for the opportunity to partner with a Korean ministry serving the elderly in Haiti. Talita has been living at the elderly mission for several years. She is grateful for the housing, food, and care provided by the ministry. Yet, sadness fills Talita’s eyes when she speaks about missing her son. Talita’s son is her only living family member and she loves him dearly. But he lives far away and isn’t able to visit often. Sometimes Talita is very lonely. Moise, the leader of Heartline’s Discipleship and Outreach team, has formed a special bond with Talita. “Talita is talkative, friendly, and a very loving person,” he says. As they greet one another, their smiles convey how much they both look forward to these visits! Because of the relationship they have built, Moise is able to speak freely with Talita and share the gospel with her. In return, Talita gives Moise wise advice, shares life lessons, and encourages him to work hard. Each month, the men and women of Heartline’s Discipleship and Outreach team visit the elderly community to serve and build relationships. 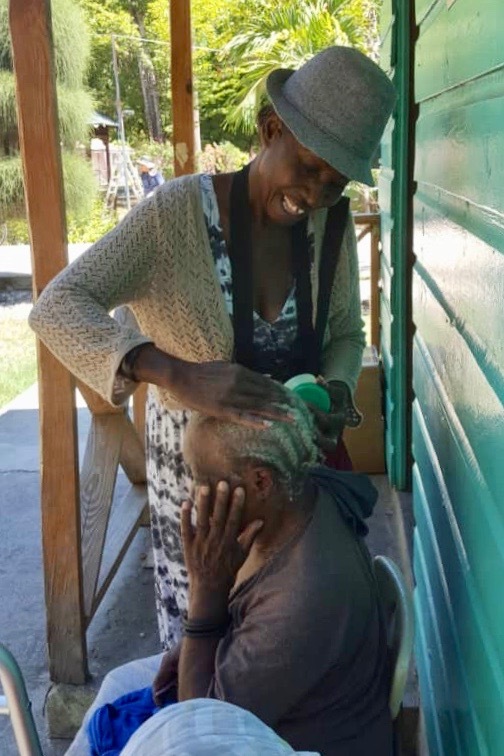 During these visits, team members braid and style women’s hair, give hair cuts, help the men shave, clean individual homes, and share bread from Heartline’s Beltis Bakery. These simple acts of service have a profound impact on both Outreach team members and the elderly men and women. For the elders, the visits are a reminder that they are loved and valued. For team members, the experience is an opportunity to reflect and learn. We believe in Haitians ministering to Haitians. 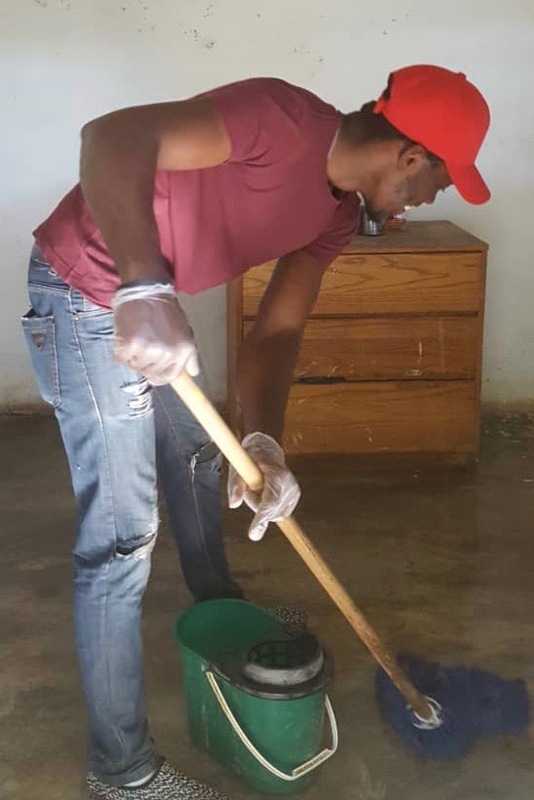 Your prayers and financial gifts equip and encourage Haitian men and women who are serving and leading in their communities. Learn more about the Discipleship and Outreach team by clicking here. We’d love to hear from you! Comment below to share about an elderly individual who inspires you. What wisdom and advice have they shared with you?